With the merger of Heinz and Kraft comes a little change to a Pittsburgh favorite. Starting in the fall, all Primanti Brother’s Sandwiches sold at Heinz Field will be topped with Kraft Mac & Cheese instead of the traditional french fries. Say hello to the Pri-Mac-ti Brothers Sandwich… bread, meat, cheese coleslaw and mac & cheese make up the new sandwich that will be server at all Steelers home games this fall. While fans have been assured that the stadium will continue to be named Heinz Field, some subtle changes will be made to the menu this fall that reflect the recently announced merger of Heinz and Kraft foods. “We feel that the Pri-Mac-ti Brothers sandwich is a great way to begin to combine Kraft foods with the Pittsburgh market,” said a Heinz Field spokesperson. 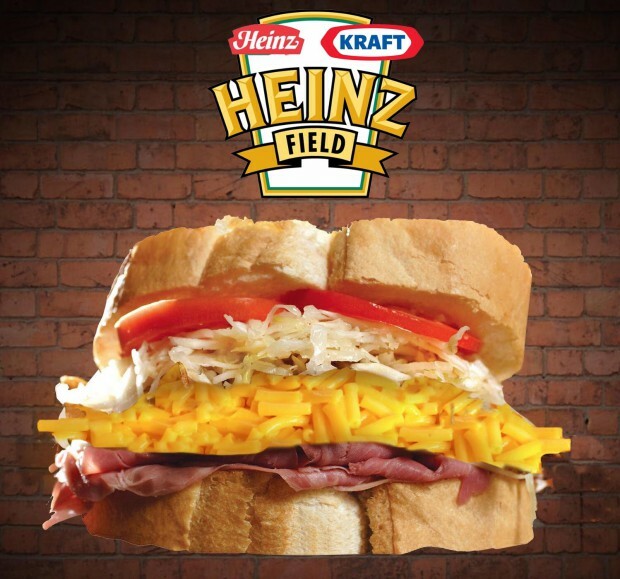 Heinz field is asking fans to share their thoughts on the new sandwhich with the #macNat. What do you think about the new Pri-Mac-Ti sandwich? « Have You Been to TechShop Yet? A Few Ways to Meet Pittsburgh’s Maker Space.